This system has been developed in order to obtain a perfect alignment of the bows on the imaginary starting line in a canoe-kayak competition. Nine gates (in canoe sprint, rowing and dragon boat competitions) or a single gate of variable length (in long distance competitions) made from a transparent material or metal stop and align the boats. A bar covered with plastic material and fixed to the submerged part of each gate blocks the bow, helping the competitor hold the canoe in the correct starting position. When the starting signal is given, the movable arms on which the gates are fixed submerge automatically with a rapid and simultaneous movement, allowing the boats to advance. At the same time, a sudden and short sound - similar to a gunshot, but other sounds are available – signals the start of the race for all crews. Each starting line measures 81m – if required, this can be longer – created by connecting nine rectangular sections with a hinge device. Each rectangular section measures 2m x 9m and consists of 5cm x 5cm bars in stainless steel with flanges at both ends that have to be assembled with pivots and bolts. Each bar has a maximum length of 3.33m. They consist of a lever with fulcrum on the frame and a V-shaped gate made from a transparent material at the end. A pneumatic piston allows the levers to move. The gates float thanks to 20 C3 buoys with a through hole. There is a winch fitted to the top of the buoys with a cable that passes through a stainless steel tube inserted in the through hole of each buoy. The metal structure is held at the required depth – usually at 1.20m under the surface – by turning the winch handle. The system chosen is very simple. It consists of a small box with two connectors fixed to its sides. One connector links the electrical cable carrying 24V current to the box; the other one links the electrical cable for that box with the box in the adjacent lane. Air exchange occurs thanks to a electromagnet air valve in each box. The number of each lane is affixed to the front and rear of the corresponding box. A horn loudspeaker is fixed to each box. An air compressor (400ml/s) holds the pressure of the pneumatic circuit at 5-6 atm. The pneumatic circuit feeds a tank for each section at the same time. Each tank in turn feeds the corresponding pneumatic electrovalve that activates a starting position. Each tank and pneumatic electrovalve is placed beside each element and allows a rapid and simultaneous reaction when the starting signal is given. Each pneumatic electrovalve is in a small box with the corresponding lane number. -a socket for various functions (e.g. charging a mobile phone). The control panel is fitted on the top of the control box. -a digital clock, which displays the exact time and enables correct starts. The system is driven by compressed air, which enters the piston/cylinder. The gates emerge from the water or submerge almost vertically depending on the movement of this piston. The air enters the cylinder through a valve, then the movement of the piston rod allows the exchange of air into and out of the cylinder. The piston rod enters the cylinder if the starter pushes the red button (arm) and exits the cylinder if he pushes the green button (start), allowing the air to exit or enter the cylinder. In canoe sprint races, the movement of the cylinders is synchronised, while in canoe relay races the cylinders receive air individually. The lightness of the structure and its low hydrodynamic resistance make it particularly quick to move the automatic starting line. 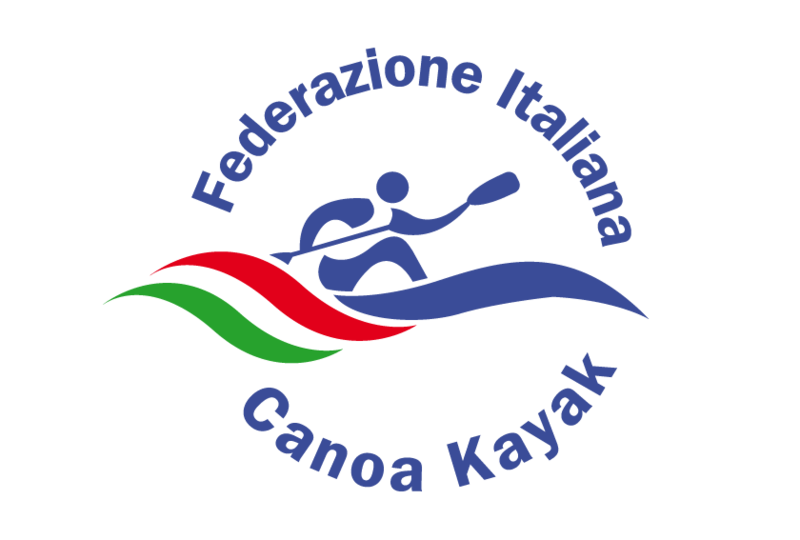 If the course has plenty of sea room (starting line for canoeing and kayaking: 81m long – that for rowing: 104m long), the starting line can be moved from 1000m to 200m in less than an hour, including unhooking and re-hooking at 200m. The starting line should be towed by a motor boat with a 25hp (minimum power) outboard engine. The course can then be corrected with a motor boat provided with a 5hp (minimum power) outboard engine. If the competition takes place on a course with the Albano system, the system is fixed to the cables number 1 and 10 by using snap-hooks with adjustable straps.